We are gold buyers in Chicopee Massachusetts, offering top dollar for gold! Sell your gold here and you will be paid fast. We invite you to meet with a gold buyer, and receive a free price to buy your gold. Our gold experts will test each item to determine its worth. The gold expert will determine the purity (24k, etc.) of each item. The gold buying appraiser can then put forth our best prices for gold. If you decide to sell your gold to us, we will cut you a check in our store while you are here. We buy 10k, 14k, 18k, 22k, and 24k yellow and white gold, in any condition, at fair market prices for buying gold. We will probably refine your gold so the condition of any item does not usually affect value. Obviously some rare antique or estate jewelry may have special value beyond just the price of gold. Either way, you can walk out with money in your pocket if you want to sell your gold in Chicopee, Massachusetts. It is important for you to know that any gold buyer must offer you less than the current worldwide market price. The reason our buyers cannot pay full market value is very easy to understand. We have business costs to inventory, process (refine) and ship raw gold. Also, we get paid only commodity wholesale prices from our buyers. 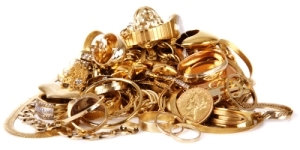 Our gold buyers also have cost to cover in reselling metals to jewelry manufacturers. Among all of the Chicopee, Massachusetts area gold buyers we have a great reputation for paying among the highest prices.